We all know that feeling; a courier arrives for you, there is buzz of excitement as you open the unexpected gift. No matter how big or small, it warms the heart and leaves us feeling valued and connected. It gives us a moment to slow down and appreciate the good things in life. When you order from us you are not just giving a hamper; you are giving happiness, showing appreciation, delivering love. We hand select gourmet products that pair beautifully with food and wine to make your gift a taste sensation. Nothing brings people together like the joy of sharing good food. We get such joy from playing a role in celebrating life's special moments while you build connections with family, friends and colleagues. In this hectic world it can be easy to forget to show appreciation to the important people in your life. Hunting for the perfect gift can be stressful. Wandering aimlessly around the shopping centre; battling crowds, traffic, trolley wars and checkout lines and coming home empty handed! This is where we've got your back. We dedicate ourselves to the creation of innovative, delicious and memorable gifts that make people feel cherished. What you give is a reflection of how you feel about recipients. 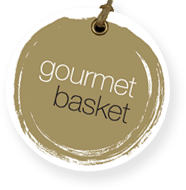 Here at Gourmet Basket our vision is simple. We exist to warm people's hearts and make them feel valued and connected. And we think people deserve more of life luxuries. That's why we do what we do. As passionate foodies we know that gourmet food inspires connection. Everyone loves good food - it brings us together. That is why we dedicate ourselves to sourcing the finest, most extraordinary food and wine from Australia's top producers. Our mission is to give each customer an authentic foodie experience, crafted by artisans and stylishly presented. We look for the best artisan producers and taste every product. Not only does each item have to taste great, it needs to look amazing. We get so much satisfaction from sourcing new products, matching them and creating a gift that looks as good as it tastes. We want the person who receives our hampers to feel wowed, valued, loved and connected to the giver.